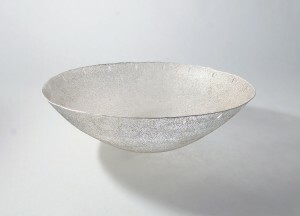 The jury selected Helena’s silver bowl ‘Dropar’ (made in 2018) to be exhibited in the Anciens Anbbatoirs in Mons. The exhibition runs till 20 January 2019 and is organised by BeCraft and WCC Europe. 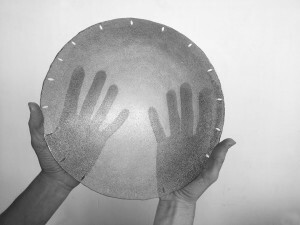 In February, the exhibition will travel to the Irish Crafts Council. 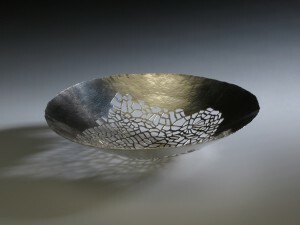 26 works, among which Helena’s silver object ‘Ellerbeckia’, have been selected as finalists by the Experts Panel out of more than 3,900 participants. These works will form part of an international touring exhibition. Click here to have a look at the finalist pieces! From 22 April till end December 2017, the ambassador residence of Chris Hoornaert in Den Haag is the location for an exhibition to present the Museum Foundation (DIVA, MoMu and FoMu). Helena was invited by DIVA (fusion of the former Diamond- and Silver museum Antwerp) to take part in this event. She will present silver and steel work.